One of the great highlights of Turkey is the food. And Turkish food is perfect for families traveling with kids. Turkish food must rank as one of the great cuisines of the world – but it is not necessary to eat expensively nor exotically either. The most simple food is also some of the most delicious food – lentil soup (for breakfast!! ), rice and beans, Turkish meatballs (kofte), salads. The fruit and the olives are simply outstanding, eat as you go sandwiches are commonplace (the whole world knows about doner kebap), and unusual sometimes – one of our favourites is Balik Ekmek – Fish Sandwich, a great Istanbul tradition. 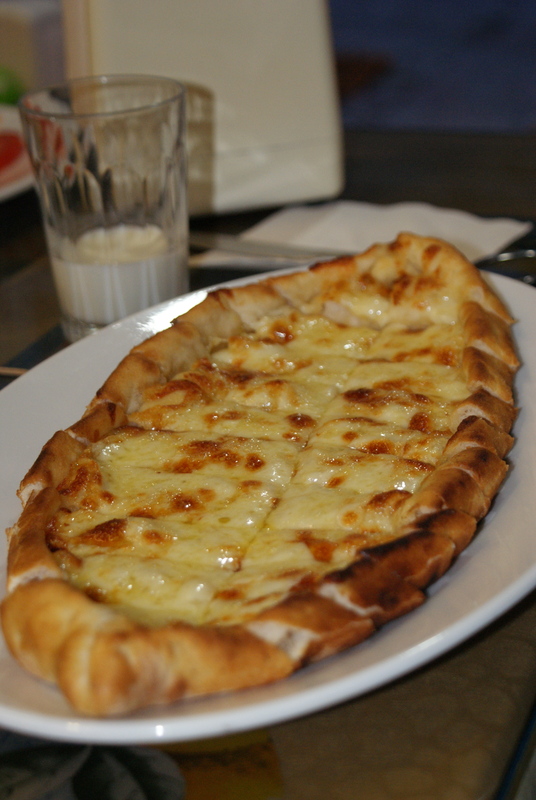 Pide (Turkish Pizza) is available everywhere and is cheap. 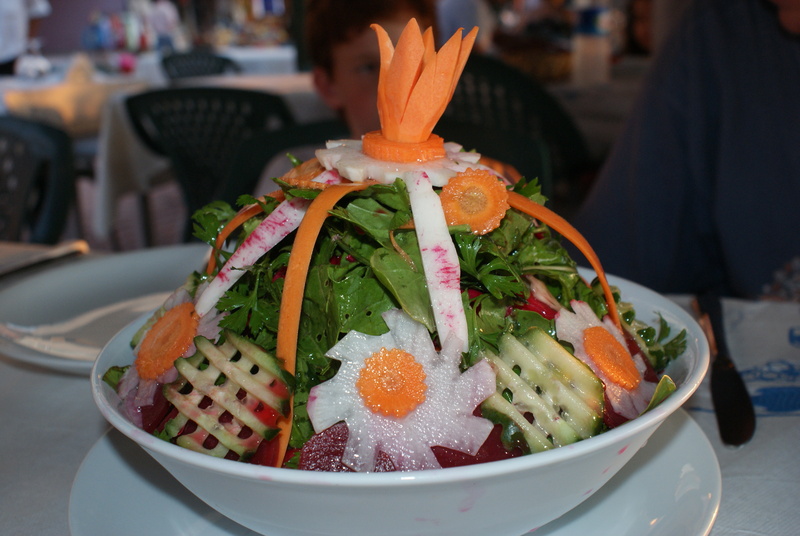 The meat and fish are good, and the vegetables (whether cooked or raw) are simply outstanding. You don’t need to eat spicy food at all, though you’ll often find a pepper or two served with the food. The bread is great as well (so long as its fresh from the bakery). And then we get to dessert! For the sweet tooth, Turkey is like heaven on earth. 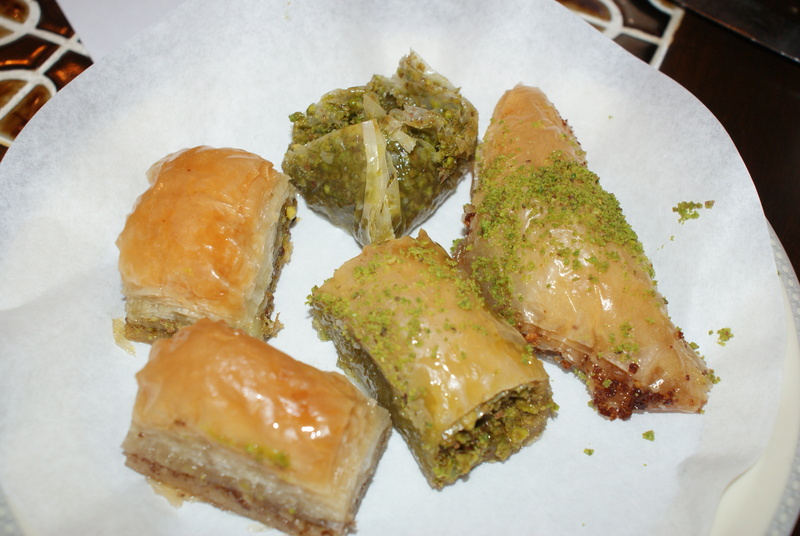 The range of Baklava is incredible – we have never eaten better baklava anywhere in the world. And the ice cream is great – for some reason, Turkey has excellent ice cream – from the sticky Maras Dondurma to the regular ice cream parlors, they are simply wonderful. 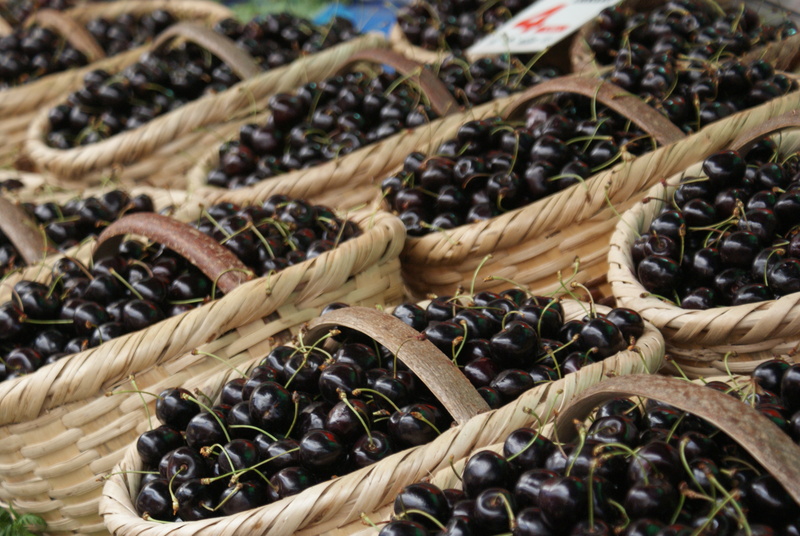 Bottom line – one can eat like a king and pay like a king in Turkey if you want, but since most families travel on a budget, one can eat simply as well, and they’ll be some of the best meals of your life. PS: These days I am planning great family trips to Turkey. To see how I can help you, click here. « Turkey with Kids: Bursa – silk and peaches. Mmm… That all looks really good!